Jenny lay on the heap of dirty clothes that was meant to be her bed and stared up at the blue smoke curling across the ceiling. Here in the bedroom, it wasn’t too suffocating but if she crawled out into the hallway then it was as thick as fog. The smoke wasn’t keeping her awake. She had gotten used to the smoke in this house—she had accepted that it was going to stain anything white to yellow and make her clothes, her hair and even her skin reek like an ashtray. From down the hallway, she could hear the chatter of voices and the warbling of one of Stephanie’s records. There was never a moment when the kids from the neighbourhood weren’t lingering around the house, smoking and sharing their snide little secrets. There wasn’t enough money for food, but they always had cigarettes: the visitors, the children of the house and ‘Mother’. Jenny strained to listen for the old woman’s voice underneath all the hubbub. It was shrill and nasal. It would cut through what the children were saying with ease. Jenny couldn’t hear it. There were no doors in the house. Privacy was an invitation to sin. The old woman stalked around whenever she could be bothered to move, peering into every dark corner to make sure that none of the girls were straying from purity. If she had been speaking, then Jenny was sure that she would hear it. But if the old woman wasn’t spitting poison through there, then it meant that she could be standing over Jenny right at that moment. Looking back on them now, the beatings hadn’t been too bad. The violence and the cruelty had been the worst that Jenny had ever experienced in her life—the welts that had been left across the backs of her legs had burned and stung every time that she moved—but compared to the evil that she now knew was lurking just under the surface in every single person she met, Jenny understood that a few whacks with a stick was far from the worst thing to happen to a person. She closed her eyes and tried to look like she was asleep. Maybe the old woman would just pass her by if she came in and Jenny was sleeping. The nasal whine raised hairs on the back of her neck when Jenny finally picked it out, a high-pitched wheeze that she was pretty sure only dogs should have been able to hear. It was the old woman’s snoring. She must have fallen asleep in her chair. Jenny’s eyes popped open and she gasped with relief. The danger wasn’t completely past: any one of the monsters in the other room could still torture her at the drop of a hat, but there were limits to how much they would be willing to do without permission. The old woman may have just seemed like a skeleton stuffed in a skin suit, but with a look or a word, she could bring any one of the children to their knees. Nothing happened without her permission, whether it was explicit, or implied. For a little while, Jenny just lay there, feeling the fear start to ebb out of her body. She had never really known fear before she came to this house, not the bone-deep dread that followed her everywhere that she went now. Knowing the specifics of what could and probably would happen to her was worse than anything that her imagination could have manufactured. She would not have been able to imagine what burning human flesh smelled like before tonight, and a year ago she would not have been able to imagine being so hungry that it would smell appetising. The fear had burrowed so deeply into her heart that it had changed her in ways that were so insidious she hadn’t even noticed to begin with. When Jenny started to cry she was careful to muffle it with her sleeve. It wouldn’t be good for one of the children to hear her. It would be even worse if the old woman was disturbed. Jenny would do anything to avoid the awful weight of that woman’s attention. The children weren’t safe by any stretch of the imagination. Jenny pictured them as hyenas wearing human clothes most of the time, braying and just waiting for the opportunity to tear into her flesh the moment that she seemed defenceless. But the old woman held their leash, and as long as she didn’t decide to set them on Jenny, she would be safe. She kept telling herself that she would be safe soon. As if this nightmare had an expiry date already decided. In a way, it did. The thing in the basement would determine how much more of this misery Jenny had to endure before all of this family’s dark intent was focused exclusively on her. She struggled to get her breathing under control, to turn her gasps and sobs into the quiet breathing of a girl asleep. The old woman might not be able to see her, but a sniffle at the wrong moment could unravel all of her hard work pretending to be one of the pack. If she thought about the basement for too long, Jenny started to feel sick. She couldn’t afford to lose her appetite any more than she could afford to lose a meal as punishment. She could feel her bones pressing up under her skin when she ran her hands over herself. Not that she dared to even touch herself over her clothes anymore. Not after the lecture on sin and self-pollution that the old woman had inflicted on them after the last time she caught one of the boys adjusting himself. When she was afraid, Jenny didn’t even dare to think about the basement—far too keenly aware that she might end up there. But in these brief moments when the tide of dread was out, she refused to think about it, more often than not, because thinking about it hurt, and she was hurting too much these days. When polio had ravaged her, she knew that there were going to be aches and pains for the rest of her life, but she couldn’t recall them ever being so intense as when she had come to this house. She was beaten very rarely, even compared to the old woman’s own children, but with nothing to eat, she sometimes thought that her body was quietly consuming itself. This night was different. The sharp pangs of terror that the basement usually brought on had been drowned out with anticipation. Tension had been thrumming in the air ever since the gruesome display earlier on. Even if it had gone back down to a simmer now, it was soon going to boil over. She told herself that everything was going to be okay. She told herself that she didn’t really believe time was running out. That the thing in the basement was still going to be there for years to come. Tears started to prick at the corners of her eyes again. Everything was going to be fine. Nothing was going to go wrong. Everything was going to be fine. Jenny had always been a terrible liar. She pulled herself up to sitting and strained to hear any hint of movement from the other room. The laughter had turned raucous, the old woman was snoring steadily, there was never going to be a safer time for her to move. There was never going to be another chance to take this risk. Her crutches were propped in the corner, and they made such a racket that there was no possibility of sneaking around if she used them, so instead Jenny dragged herself slowly across the dust-caked floor to peer out into the hall. Through the blue fog, she could see the silhouettes in the living room. The shadows in the shape of people that she could have mistaken for human beings if she didn’t remember what she had seen that day. The old woman was out of sight, but the trilling of her snores was unmistakable. Jenny could do this. Everything was going to be fine. She dragged herself along the hallway, letting her weak legs take only a portion of her weight in case she needed them rested for a mad rush back to bed if there were any sign of trouble. It took longer than it should have to travel down the short hall, swerving to avoid mounds of trash or heaps of empty cola bottles. She made it to the kitchen unnoticed, but when the door to the basement stood before her, she froze. It had been a long time since she had last willingly gone down those stairs, and back then the possibility of being locked down there in the basement hadn’t even occurred to Jenny. She could already smell the thing down in the basement. Even from up here with the door closed the stench of it wafted up. The sickly sweetness of ammonia undercutting the farmyard stench of excrement. Jenny started breathing through her mouth. She could do this. Everything was going to be fine. The door creaked as she pressed it open and it was all that she could do to keep herself from scrambling back to bed. For another dreadful moment, she held herself still, kneeling on the kitchen floor and feeling the weight of it all pressing down on her. She strained for any sign from the living room that she had been heard, but after a moment another ripple of laughter assured her that she had gone unnoticed. With a brush of her fingertips, the door swung open the rest of the way and Jenny looked down into the abyss. Beyond the reach of the light from the bare bulb hanging in the kitchen was a darkness so complete that Jenny could barely understand it. As if the stairs led down to a solid black wall with nothing beyond that point. All of the fear that she had quashed came rushing back. How could anyone live in that total darkness? How could you open your eyes to nothingness when you woke up and close your eyes on it when you tried to fall asleep? She stared into that darkness and tried to will her body forward. She was vulnerable kneeling out here in the open. If she went down the stairs, then she would be safer. That lie was so big that she couldn’t even get through telling it to herself before rejecting it. Just as she was about to turn tail and flee back to bed, she heard a sound from beneath her. Down in the basement, the thing had heard her coming. Jenny could hear it even now, scratching around on the packed dirt of the floor. It knew that she was here. Somehow it knew. She heard something like a sob echoing up from the darkness, and that was enough to strengthen her resolve. She crab-walked down the stairs, lowering herself carefully to stay silent and not even flinching when she pushed the door shut behind her, blocking out the last of the light. In that deep darkness, she felt her way forward, step by step, muscles aching from the effort, heart hammering in her chest. This could be her life. If she was caught coming down here, this would be her life. Sylvia’s breath came out like a rattle, but there was no fear in her voice when she answered. 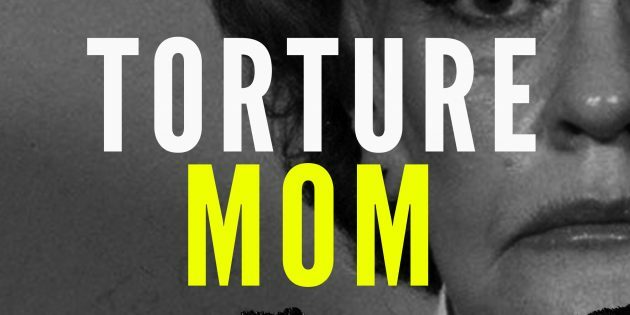 Torture Mom is now LIVE and available on Amazon! I’m a little scared to read this book. Just this short excerpt had me holding my breath. If I know anything about Ryan Green’s books, I know this book will keep me on the edge of my seat. And I know I’ll read it in one sitting because I won’t be able to put it down. As horrifying as the story is, there’s something about it that captures you, and holds you there. Something that refuses to let you look away. It’s a story that needs to be told. Sylvia’s voice deserves to be heard. Ryan Green knows how to tell a story. Even a horrifying story. What’s even more horrifying is that it’s all true. Torture Mom is the hardest book to read that I have ever read, and I’ve read a lot. I literally had to put in down at times and walk away because it became too much. It’s hard to believe that people can actually act like this. It’s hard to believe the treatment of Sylvia Likens was allowed to go on, unchallenged, by any of the adults in her life: teachers, preachers, neighbors. Nobody said anything. It’s hard to believe that a person can be as evil as Gertrude Baniszewski. She wasn’t insane. She was pure evil. It’s hard to belive that teenagers can be persuaded to commit such evil acts on another teen, because their “leader” told them to. The punishment these people were given is absolutely ridiculous considering the horrible things they did to Sylvia. Brace yourself. It’s not an easy ride. I’m glad Ryan chose to tell Sylvia Likens’ story. Her voice deserves to be heard. She deserves her day. The Baniszewski family deserves to rot in hell. All of them, and any of the other kids who participated. God Bless Jenny Likens. I’m sure she’s lived a tormented life. Damn, such a sad, sad story, but well researched and told, as only Ryan Green can tell it.